Database Systems Corp. provides computer telephony integration technology to the call center industry. DSC offers CTI Software and phone systems as well as outsourcing call center services that employ telephony technology. Inbound phone calls are processed using our ACD Software and interactive voice response (IVR) that answers calls without an operator. One of the many criteria and variables that this software uses in routing phone calls is the phone number that was dialed by the caller. This number (or service) is referred to as DNIS. DNIS (Dialed Number Identification Service) is a telephone service that identifies for the receiver of a call the number that the caller dialed. It's a common feature of 800 and 900 lines. If you have multiple 800 or 900 numbers that are answered by the same phone system, DNIS tells the controlling program on this system which number was dialed. DNIS works by passing the touch tone digits or DTMF (dual tone multi frequency) to the processing unit where a special facility can read and display them or make them available to the call processing application. Contact DSC to learn more about our CTI software employing DNIS called number identification features. To view other call processing features, please visit our phone system features web page. DSC software utilizes DNIS in several of our computer telephony software applications. 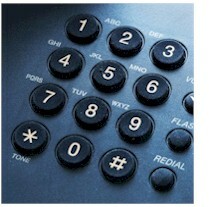 ACD systems employ DNIS as the primary call routing mechanism. Calls are processed using our automatic call distribution system which determines the called number and transfers this call to an agent hunt group. IVR Software utilizes DNIS in several ways. First, IVR programs are initially invoked based upon the call's DNIS. Thus, a specific IVR program can be assigned to each identified phone number routed to a phone system. Once the IVR program has been invoked, it in turn can query the phone system to determine the number dialed. This is important when multiple phone numbers route to the same IVR program. DNIS recognition and processing is just one of the many features of our computer telephony integration software. This rich set of phone software library routines enables application programs to control a phone system.